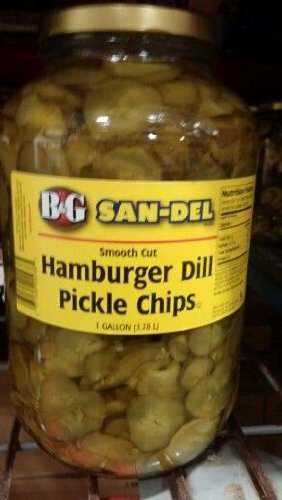 Try a 2 pack of these great smooth cut hamburger dill pickle chips from B&G San-Del.....leader in the restaurant industry. View More In Dill Pickles. If you have any questions about this product by B&G San-Del, contact us by completing and submitting the form below. If you are looking for a specif part number, please include it with your message.